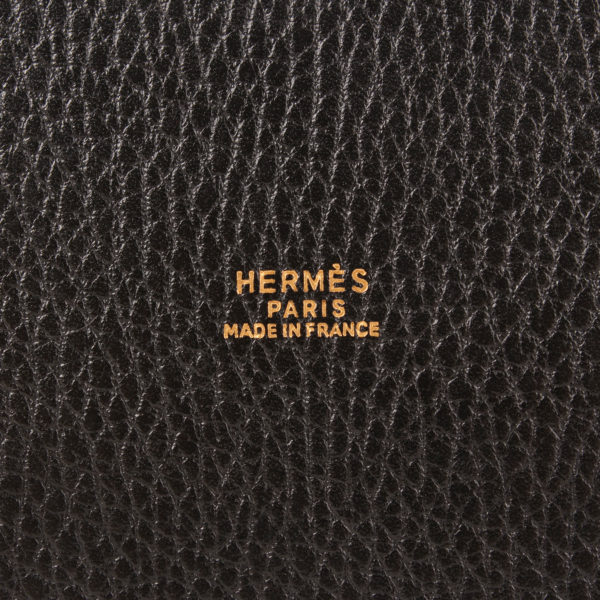 Hermès Market in black Togo leather. 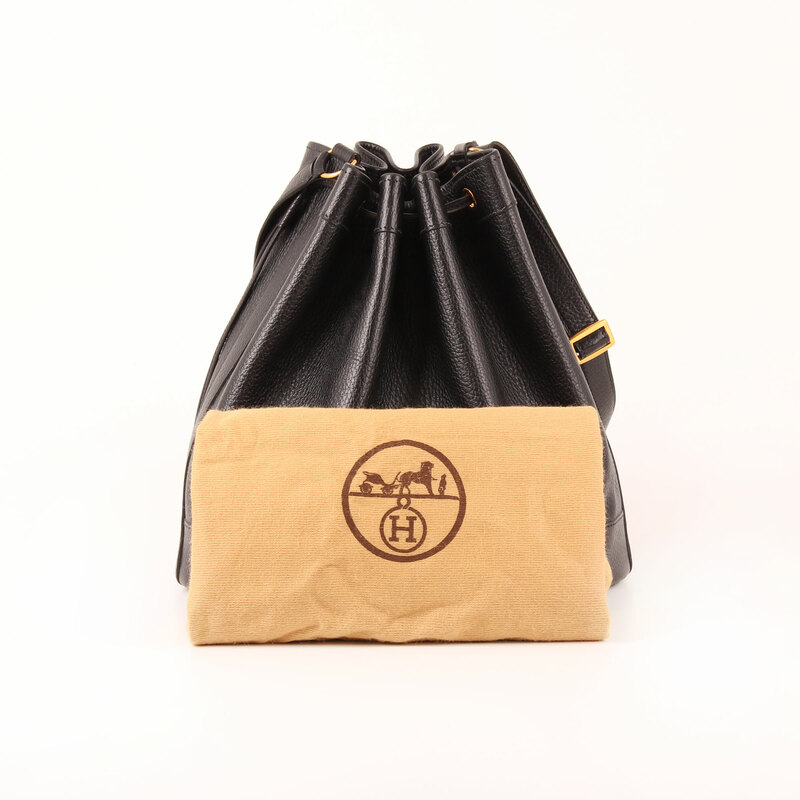 A both relaxed and sober tote bag, ready to go with you in that unpredictable days and nights. 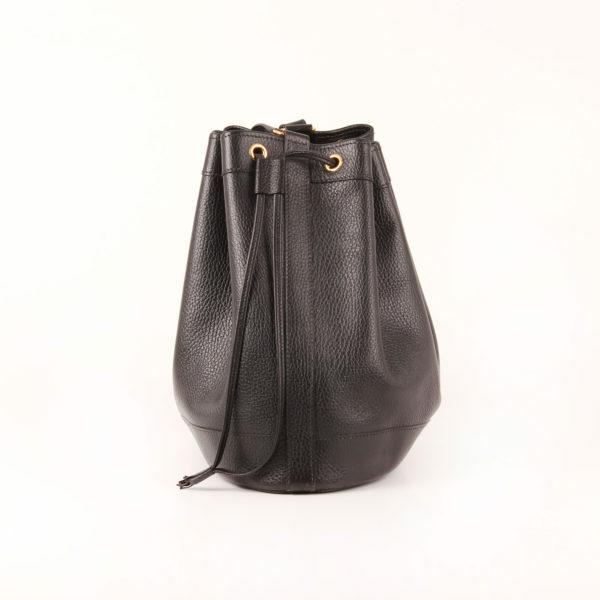 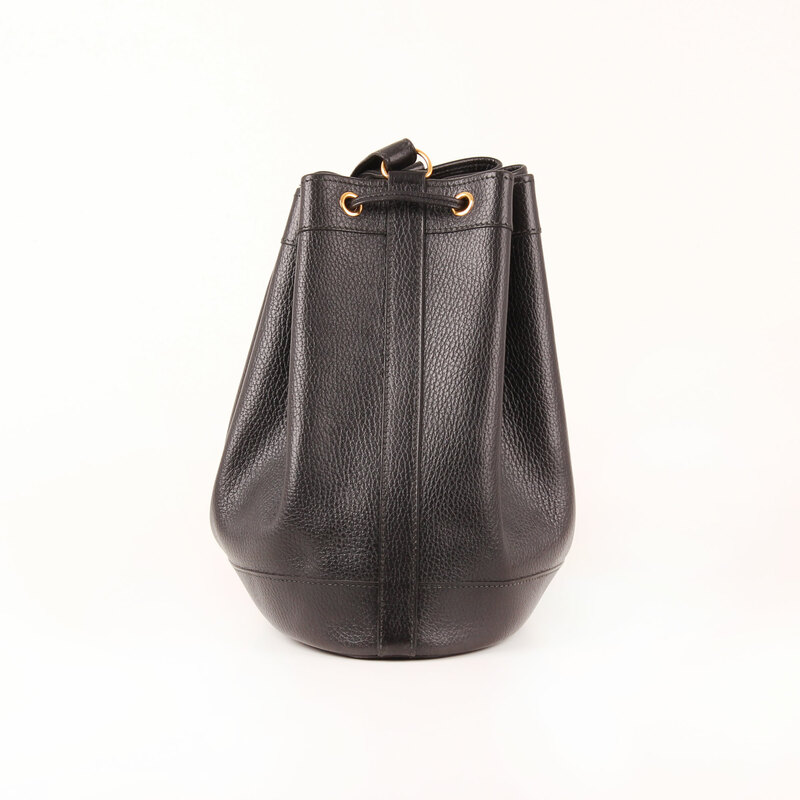 Great Hermès Market Bucket Bag in black Togo leather. 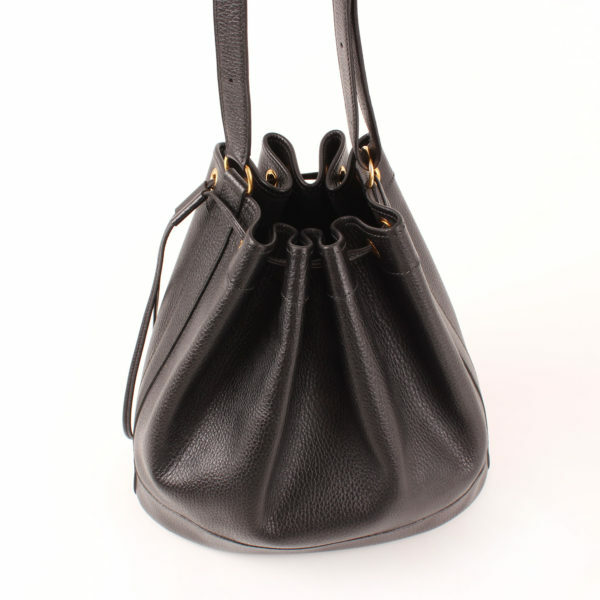 A tote bucket-shaped bag with drawstring fastening and adjustable shoulder strap. 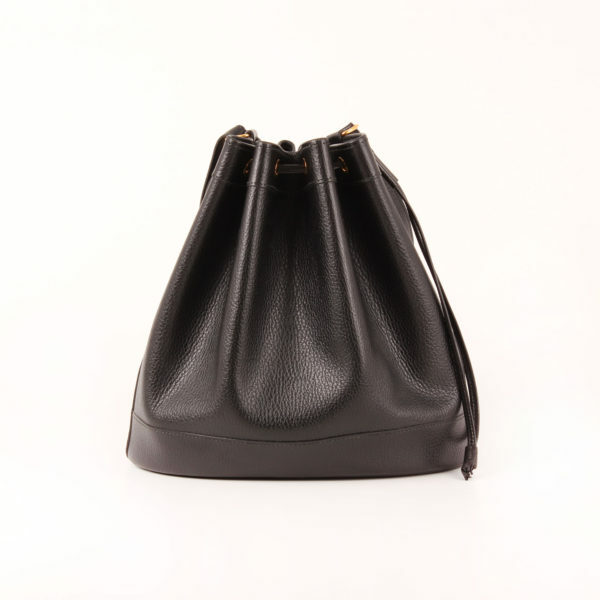 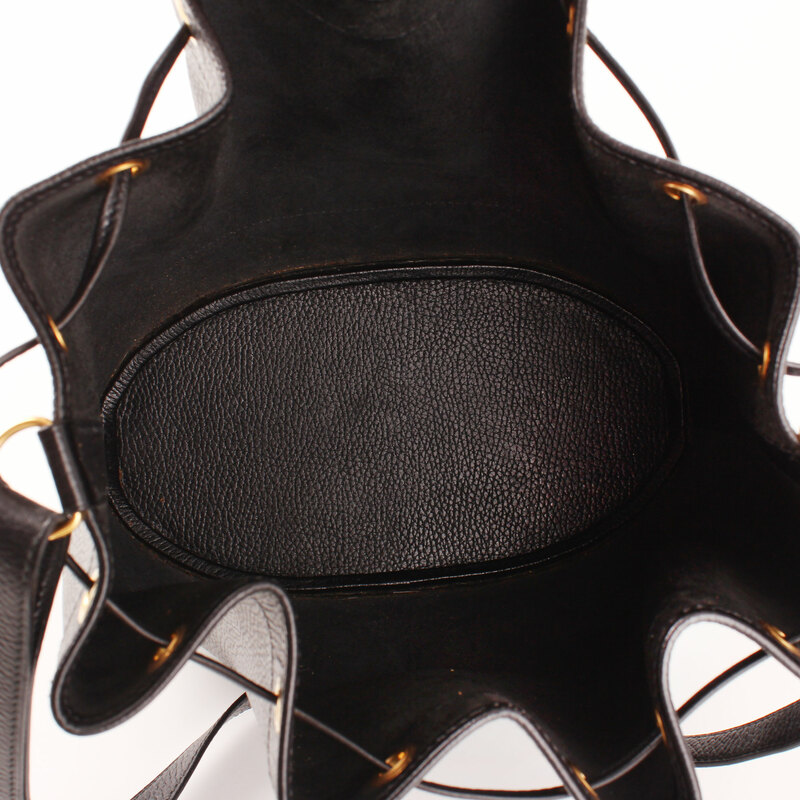 This market features gold hardware, black saddle stitch, oval base and suede lining. 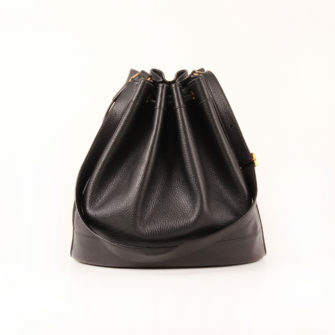 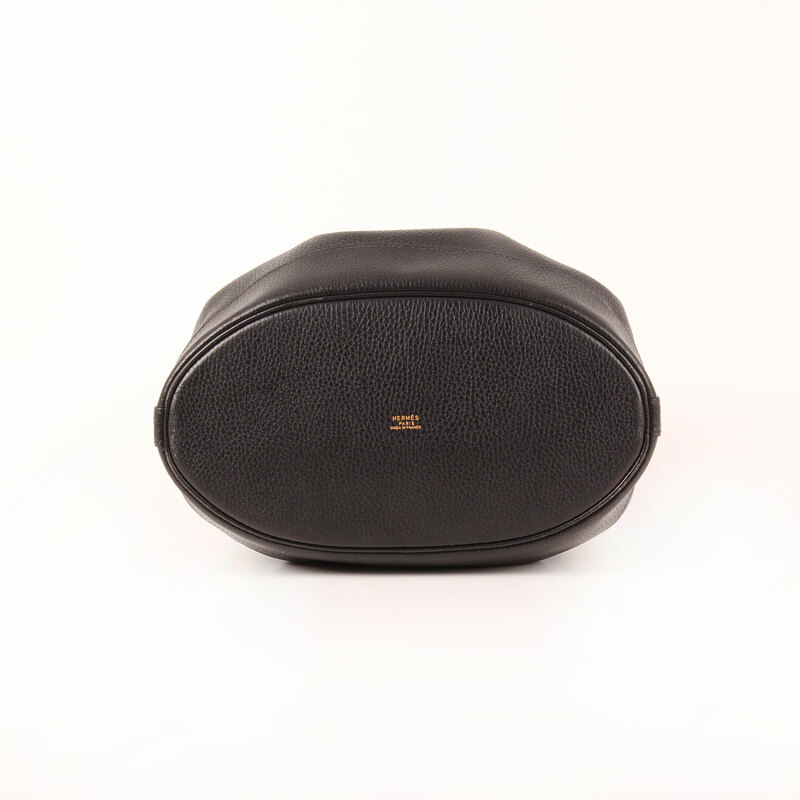 It has a lot of room to carry all your daily essentials and more and comes with dustbag. 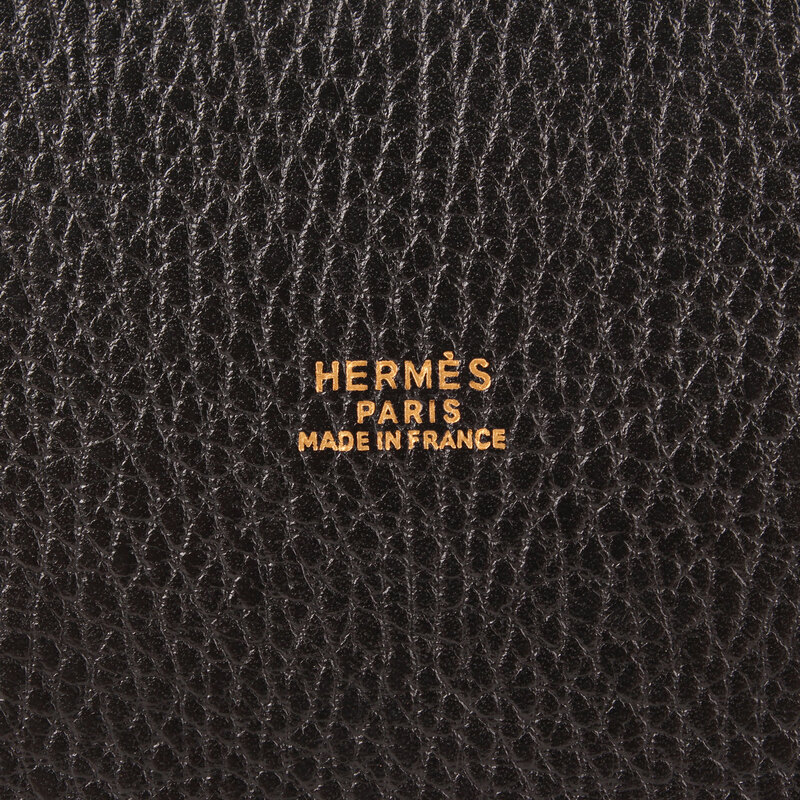 Besides, it is made of one of Hermès’ reference leathers: the Togo leather. 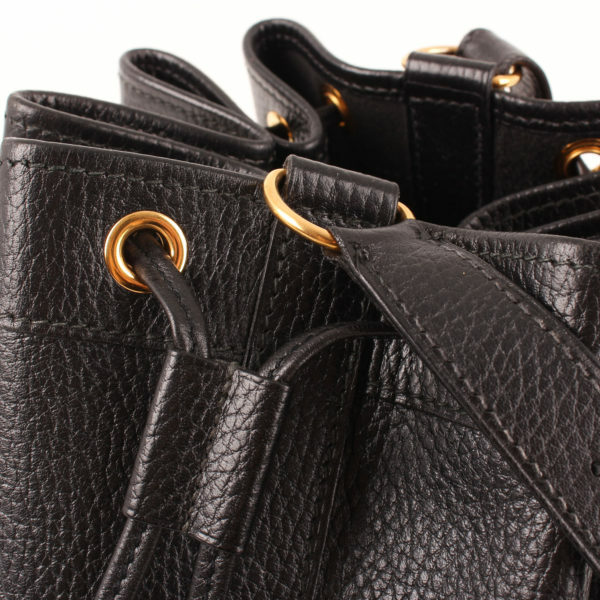 Details: Signs of use in lining and drawstrings.